Many believe DISC is the gold-standard in psychometric tools, and it is true that it's used all over the world in companies today. It's simple, accurate, and legally-defensible as a hiring tool. Most importantly, it makes leading and managing easier. But like many good things, even the best ones get improved. They become simply the original or "classic" version. We regard them highly and discover we can't live without their time-honored and long-established convenience. But often there is a newer version enhancing the original version. We love our cell phones, but how many of us are still toting around a bag phone? Right now there is something even more effective than your DISC tool. DISC Personality Testing has been gaining popularity for years and now. Try applying for a job without having to answer a random question about how many family pictures you prefer hanging on your office wall. What does that have to do with your actual job? A lot, according to a growing number of employers and recruiters trying to predict job fulfillment, productivity, group dynamics, leadership, and best fit within a job role or corporate culture. The fact is Behavioral Benchmarking with DISC works for many companies and has created a billion-dollar industry. 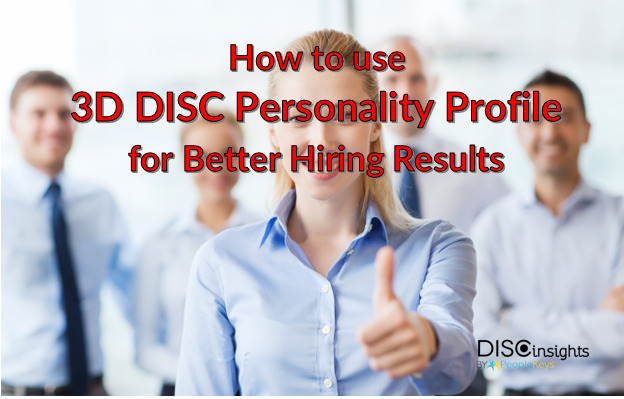 Yes, today's hiring managers, recruiters, and HR departments are utilizing DISC more than ever before because it works to augment that gut instinct or inform beyond the resume and lists of accolades. There is something better, even more powerful than DISC but also utilizes DISC at its core. What if you could get an industrial strength DISC that was like a triple espresso to your regular strength DISC? There is such an instrument that takes the one-dimensional DISC and increases its accuracy, triples its effectiveness, and rounds DISC out to a three-dimensional view that is particularly spot-on in delivering a short list of candidates fully behaviorally-vetted in the most critical soft-skills categories. Drum roll, please! To meet the needs of their clients who sought more behavioral dimensions examined beyond DISC, PeopleKeys developed the TEAMS and Values Assessments to augment the behavioral dimensions of the DISC assessment. 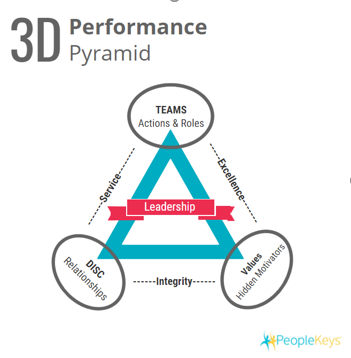 Now there are three dimensions: Communication + Team Role + Motivators. These soft-skills are scrutinized to assess the candidate's behavioral strengths so that employers can capitalize on them in their position. The 3D report also assesses any potential limitations or red flags so that an employer can address these questions in the interview or develop these shortfalls in the individual's behaviors later during the job role. 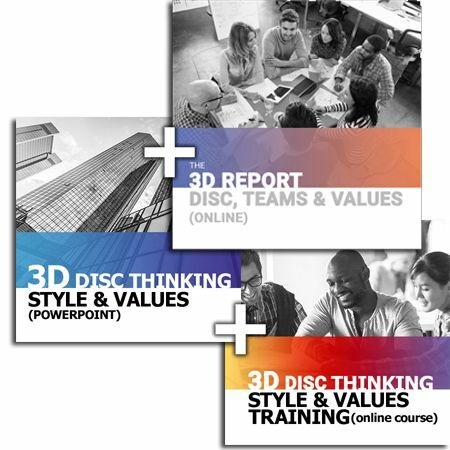 As mentioned earlier, why we love DISC, and likewise should adore 3D, is because of its #1 benefit: it makes a leader's or manager's job easier! Benchmark for pinpoint accuracy using the 3D report for hiring to filter candidates is a step in the right direction, but each job is different and each corporate culture is different. PeopleKeys suggests benchmarking. DISC graphs Benchmarking Example: This DISC graph shows the benchmark applied (grey area) behind the candidate's DISC style. In the third graph the candidate falls within the benchmark. The recommended applications are Hiring, Filtering, Recruiting, Team Building, Leadership Development, Managing, Benefits Planning, On-boarding, Succession Planning, Strategic Planning, and Employee Reviews.